Of course, you can use a smart plug system and the manufacturer’s app to control your smart plugs, and the lights, appliances, and devices you plug into them. But it’s even better to integrate your smart plug with the rest of your home automation system, for comprehensive control and optimal convenience. Using smart plugs enables convenient voice commands for your home devices, so you can have Alexa or Siri take care of things for you. But these plugs also extends the capabilities of what your home automation devices can do, and how they can work together. Choosing the best smart plug for Alexa will add bags more value and features for you to control with your voice via your virtual assistant in your smart, connected home. How do Smart Plugs Work with Alexa? Connecting your smart plug to Alexa not only connects it to your Echo and enables Alexa to control the device, but it also means that you can potentially use your smart plug with other Alexa-compatible devices like the Dash Wand or the Fire TV Stick. You should now be able to use Alexa to control the device connected to your smart plug. How do Smart Plugs Work with HomeKit? HomeKit is a suite of products and services you can access and control with your iOS devices. HomeKit connected devices can be controlled comprehensively using Siri. As with most Apple products, the technology is proprietary and prefers devices manufactured by Apple, but there are HomeKit-compatible third-party smart plugs on the market. Within the Home app, you can set up different rooms in your house and configure device settings within that room to different scenes and settings, allowing you to change multiple devices at once. How do Smart Plugs Work with Google Home? Setting up your smart plugs to work with Google Assistant and Google Home is much like setting them up for Alexa, and, in fact, most smart plugs that work for Alexa will also work with Google. Also, within the Google Home app, you will be able to rename your smart plug with a nickname, and then assign the device to a room. Giving your plugs specific names like “bedside reading lamp” or “kitchen coffeemaker” not only makes voice control easier, but it allows Google Home to control multiple devices at once in whole-room settings. You can create custom scenes, like “movie night in the den” or “party on the deck,” and assign specific settings for light, sound, and other connected devices, to change the mood all at once. Smart plugs are inexpensive, easy to operate, and add robust features and capabilities to your home automation system, no matter what system you use. They are a powerful, versatile way to customize your lifestyle and save time and energy in the process. 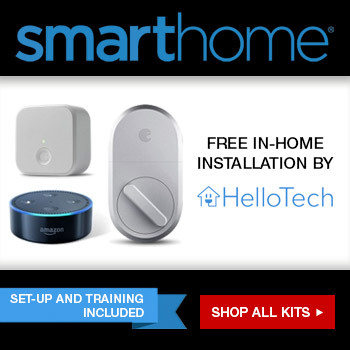 Make your Amazon Alexa system even more useful and convenient by upgrading to smart plugs and automate your home today.